Francisco Caserta, center, the First President of the Feast of San Gennaro where he lived at 163 Mulberry Street. Circa 1926. Looking Back (uno sguardo indietro) celebrates the people and culture of New York City’s vibrant, historic Little Italy neighborhood. 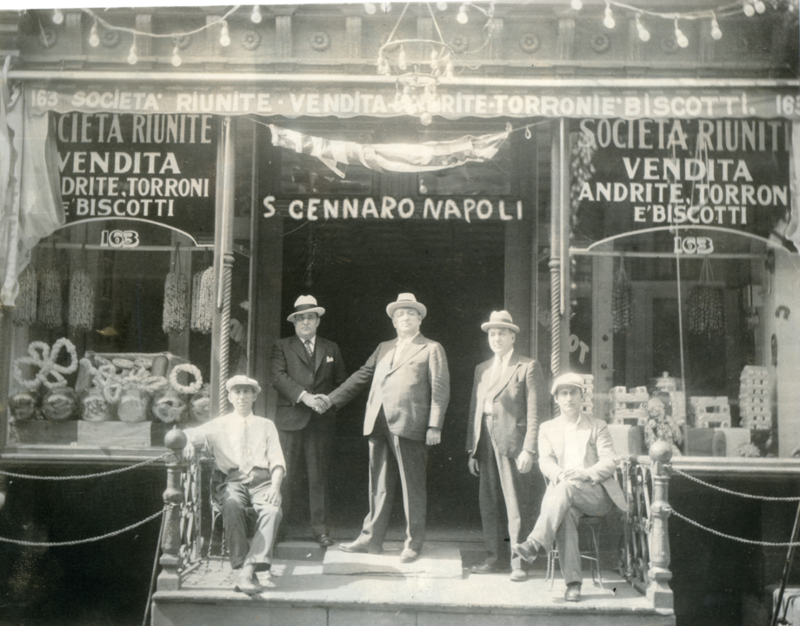 Through historic photographs gathered from family collections housed at the Italian American Museum, we illustrate and honor the hard work, devotion and love of family that has defined Little Italy for well over a century. Continuing a tradition brought from Naples to Mulberry Street, newly arrived immigrants began celebrating the first Feast of San Gennaro on September 19, 1926. This year during Feast we re-imagine Mulberry Street as a traditional Italian town square—a place where neighbors, friends and visitors can come together at the northern gateway of the Chinatown & Little Italy Historic District. Looking Back is curated by Mark Bussell (Department of Photography & Imaging, Tisch School of the Arts, New York University), in partnership with Monsignor Donald Sakano (The Basilica of St. Patrick’s Old Cathedral), and Two Bridges Neighborhood Council.